Over the past few years, the art of using e-cigarettes or vaping as it has become commonly known as has become a great alternative to regular smoking. Below are just 5 reasons why vaping is better than using traditional cigarettes. Today, a good quality pack of cigarettes will cost anywhere between $7 and $12, which works out extremely costly. Smoking just 1 pack a day can cost between $210 and $360 a month – certainly not small change in anyone’s budget nowadays. This doesn’t include the cost of incidentals such as lighters or ashtrays. Although the cost of a startup e-cigarette kit can seem steep at between $20 and $50, the month to month cost of vaping comes out considerably lower than that of regular cigarettes. Another reason why e-cigs are cheaper is because they are not currently subject to taxes like traditional cigarettes. Smoking traditional cigarettes not only affects your health; it poses a serious fire risk in your home, office or even in your vehicle if you smoke while driving. In fact, cigarettes are the number 1 cause of all fire-related deaths in the US. When vaping, there is no open flame or hot cigarette end that can burn anyone or anything, which makes it a far safer option all round. Nowadays, most people’s view of smoking regular cigarettes is at an all-time low – especially in public places or areas where children are present. However, vaping doesn’t create any of the smoke or unpleasant odor that regular smoking does, which means that it can usually be performed in most public places where traditional smoking may have long since been outlawed. Regular cigarettes are anything but pleasantly flavored – at best, some varieties are menthol-infused. When vaping though, it is possible to choose from literally hundreds of flavor options to suit your mood or fancy at any given time. Flavors include fruity varieties such as cherry, watermelon, strawberry, grape, blueberry and many others to sweeter tastes like vanilla, chocolate or even cheesecake. An array of mint, coffee and other flavors are available as well. More than 95% of smokers who switched to vaping noticed that the quality of their well-being improved substantially – within a few weeks at the most. Several ecig users have stated from their experience after switching from traditional cigarettes to vaping they noticed an improvement in their overall health. Areas that improved included a drastic reduction in chronic coughing and improved levels of stamina when it came to exercising. In addition, smokers who switched over to vaping noted that their senses of taste and smell improved substantially within a short period of time. 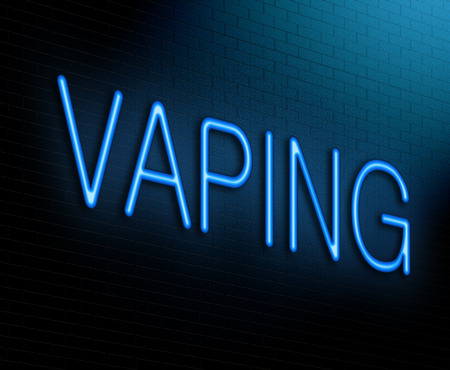 Thanks to the numerous benefits that vaping has to offer over regular smoking, it is expected that this industry will continue its upward trend for quite a while to come. When purchasing e-cigarettes and related vaping supplies, it is essential to ensure that they come from reputable sources. For further information on purchasing top quality vaping accessories, contact Vintage Joye today. Disclaimer: Vintage Joye Vapor Lounge is not making any health claims towards switching to vaping from traditional cigarettes. These remarks are from people that made the switch to vaping in their own person experiences.